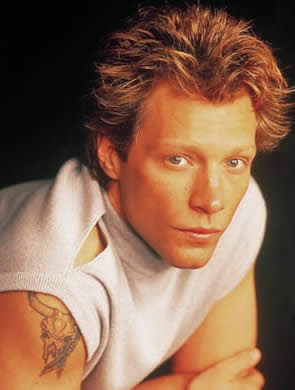 Jon Bon Jovi is a great influential American rock musician, songwriter and actor, best known as the lead singer of the band, Bon Jovi. 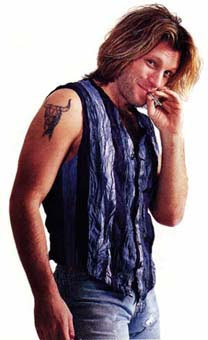 Jon Bon Jovi has three tattoos on his body including a dragon design on the front side of his left ankle. 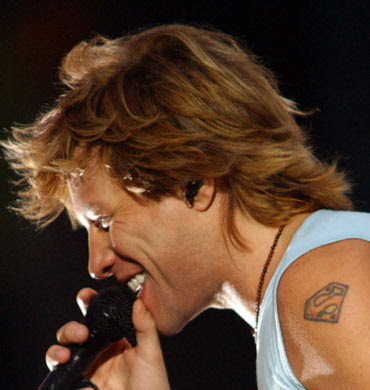 On his left shoulder is the famous Superman shield insignia, and on his right shoulder is the skull of a steer/longhorn. 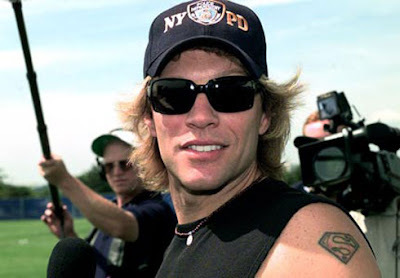 Enjoy these pictures of Jon Bon Jovi's tattoos.